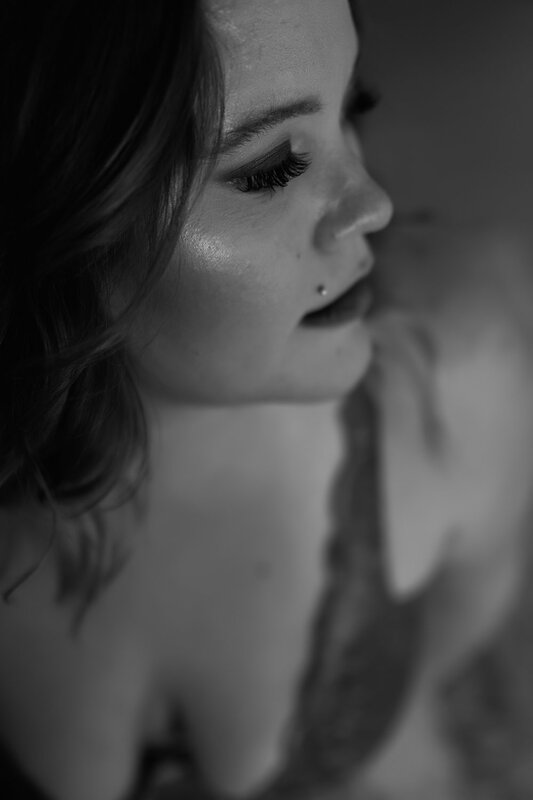 Changing a woman's mindset & building confidence through Boudoir. Miss P's Experience. During her Reveal we walked through the emotions, how to look at herself to change her mindset. I truly am humbled and proud as I believe that mindset has changed today. My values, my philosophy and my sessions never revolve around just a woman's beauty. They are about her soul, her womanhood, her personality, regaining her power back that may have drifted away. We talk about what makes her her, what she loves, we focus on HER as a person. This was a great experience. I've always been the quiet, shy person that just kept to myself, I stayed in my head I guess. I was always picked on at school and at home. I never felt I was beautiful or worth taking pictures of, I have always hated pictures and looked for men to confirm my worth and beauty. After this session, that is all starting to change and I will be forever grateful for that. The day of the session, I felt like a model and it was scary and nerve racking at first, I'm not used to being the centre of attention and being told I am beautiful and have great features. It was all so new to me. Once I saw myself with my hair and makeup done, I got a feeling I had never had before... CONFIDENCE! 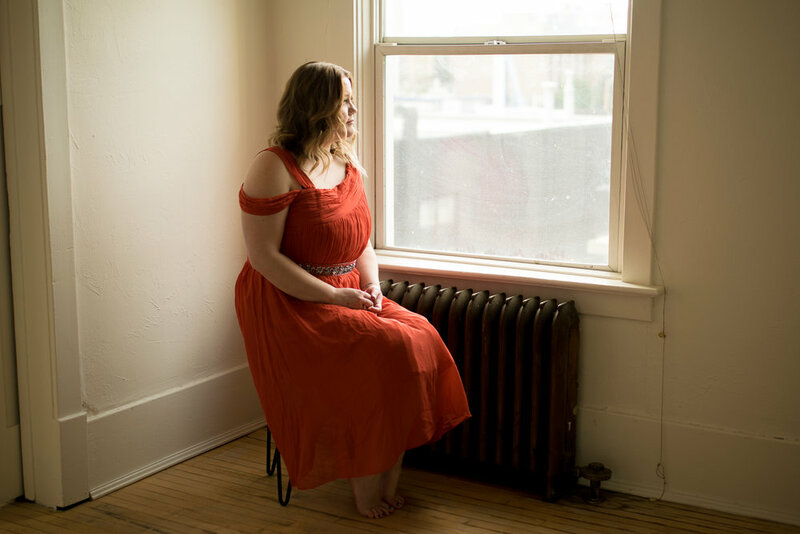 I was still a little nervous about the outfits and how my body would look, but I changed my clothes and we started posing and Shannon talked me through everything and once I started seeing some of the photos Shannon was getting... I honestly can't even describe the feeling. It's amazing and life changing. Seeing my photos has just been absolutely mind blowing. That's me!!! I have some of the photos saved to my phone and I find myself looking at them multiple times a day. Whenever I need a pick me up or a reminder that I am beautiful and worthy of thinking so. These photos mean the world to me as they represent the first time I was able to trust myself, trust another person in this way (who turned out to be the absolute best woman and photographer ever!) and trust that I did have beauty for the camera to pick up. I will definitely be booking more sessions in the future and I highly recommend any and all women do this. Climbing out of your comfort zone is always a challenge, it's an ongoing struggle but in the end it is so incredibly worth it!! !